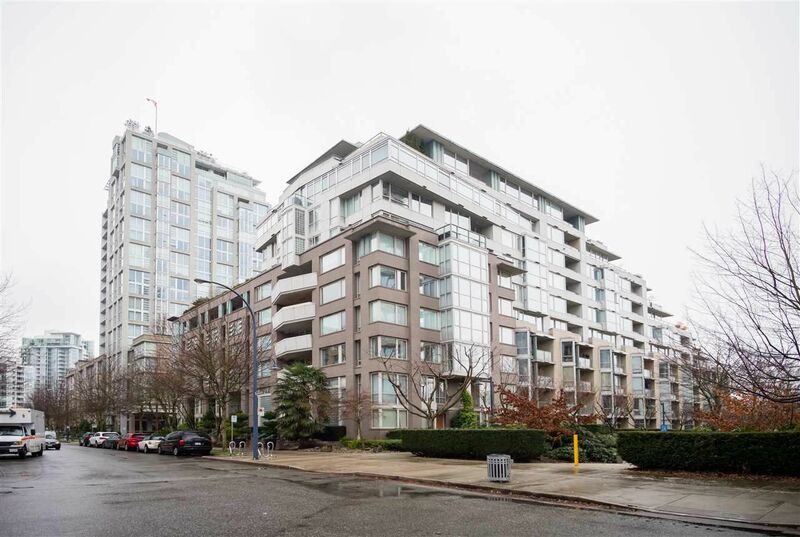 Rarely available townhouse off Marinaside Crescent. 2 bed, 2 bath, 2 levels, almost 1300 sf with 2 patios on each level. Open layout living/dining, insuite storage/den & fireplace on main and large master bedroom with ensuite plus second bedroom upstairs. Building bonuses include 24 hr concierge, pool, hot tub, steam & sauna, exercise centre. Pets & rentals allowed. Neighbourhood amenities all within 3 minutes walk or less; Canada line, bike & car share, Elsie Roy elementary school, Urban Fare boutique grocery store, Roundhouse community centre, medical & dental clinic etc. Steps to the marina, seawall & parks in every direction. Are YOU ready to start living YOUR Yaletown life?! Call to schedule your private viewing.